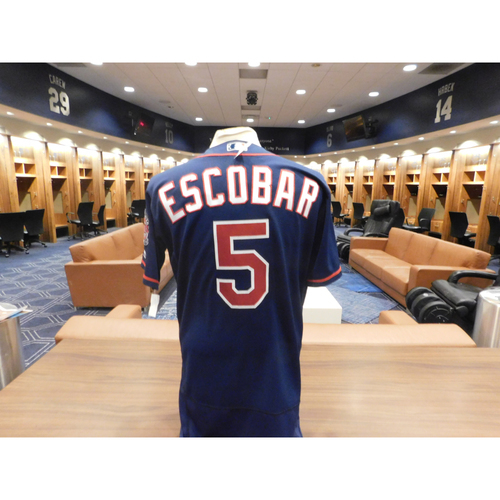 Game-Used 3B Eduardo Escobar #5 Jersey. 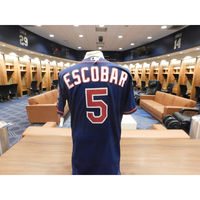 Escobar went 1-4 with a double in the 9th inning against the Orioles on April 6th, 2016. Size 42. 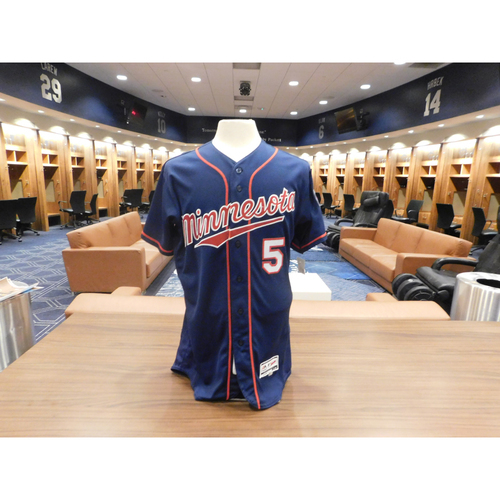 Navy with Red Numbers.